I could do a separate post about how much I love every single item, but I'll just highlight a few. Just know that you should be very jealous of me and go out and purchase everything for yourself. Right now. 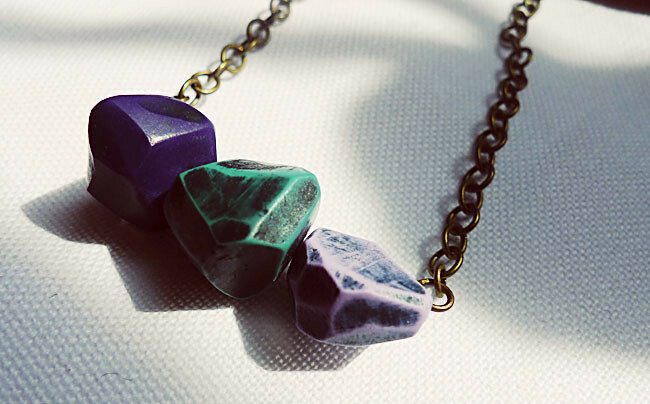 I am in love with this erudite necklace by Floridity. I am wearing it right now. It is my new best friend. These are quite possibly the best cat toys in the world. 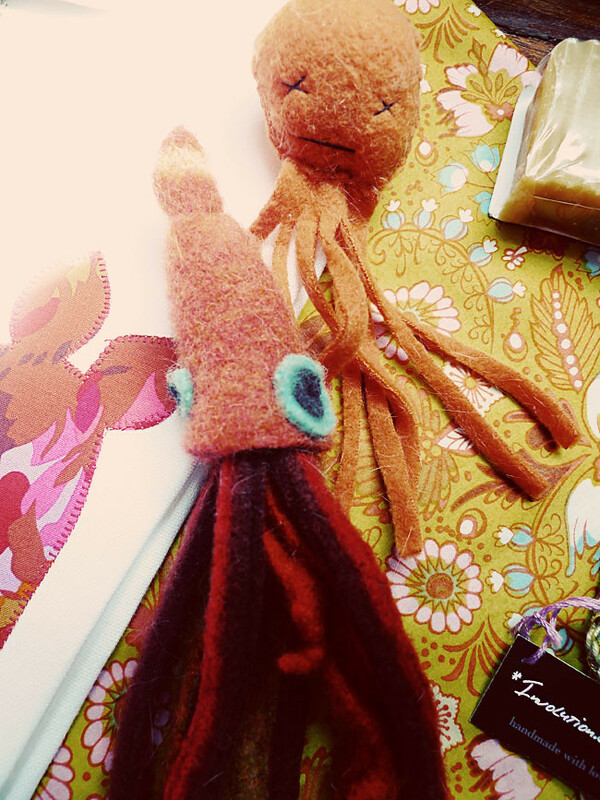 The octopus is by Finklestein's Center and it is soft and light and perfect for little feline paws. 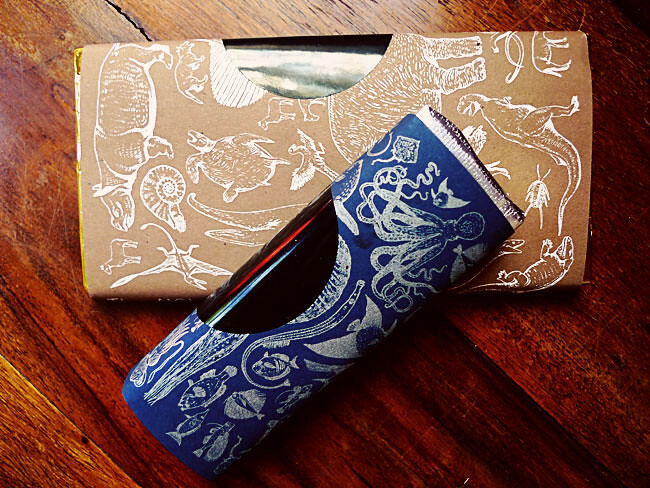 The kitty squid is by canoo and it is a nice size and really well made, sturdy enough for a good fight. Chocolate bars by Sweeteeth... there are no words. If the streets of heaven were paved with chocolate, it would be made by Sweeteeth. I got the "Sea is for Caramel" and the "A'Chocolypse," and let me say this: I cannot go another year without this chocolate in my life. I will be ordering some in the very near future, as should you. It is worth the price and the shipping, I would pay more if necessary. UPDATE: O Cha in Greenville is now carrying Sweeteeth! My prayers have been answered! 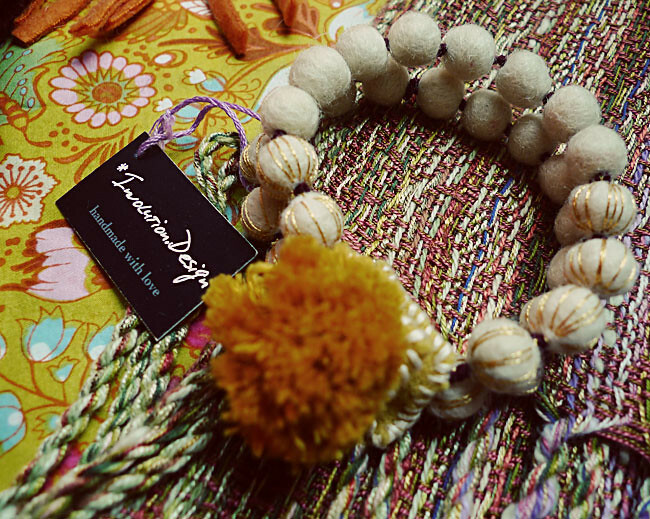 I got this beautiful felted and stitched bracelet from Involution Design and I intended to give it as a gift, but as soon as I slipped it on my wrist, it was mine. I wish I had every one of her pieces. 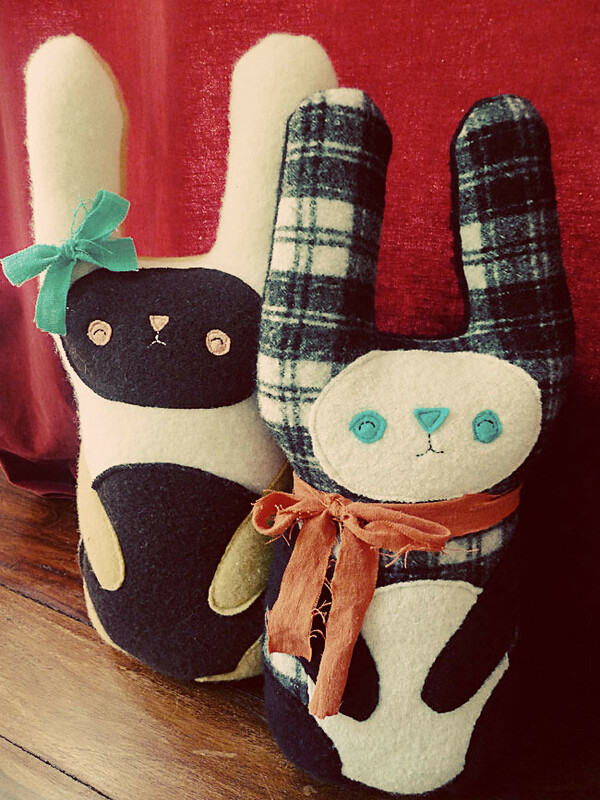 These may be my most favorite find, bunnies by Three Bad Seeds. Cory is completely obsessed with them. (I realize it's a little odd for a grown man to be enamored with a stuffed animal, he's a bit crazy and we all know it.) They are soft, perfectly made, and designed marvelously. Best of all, they make me smile. This hand-cut enameled necklace was crafted by Ashley Buchanan, and I am in awe of her talent. 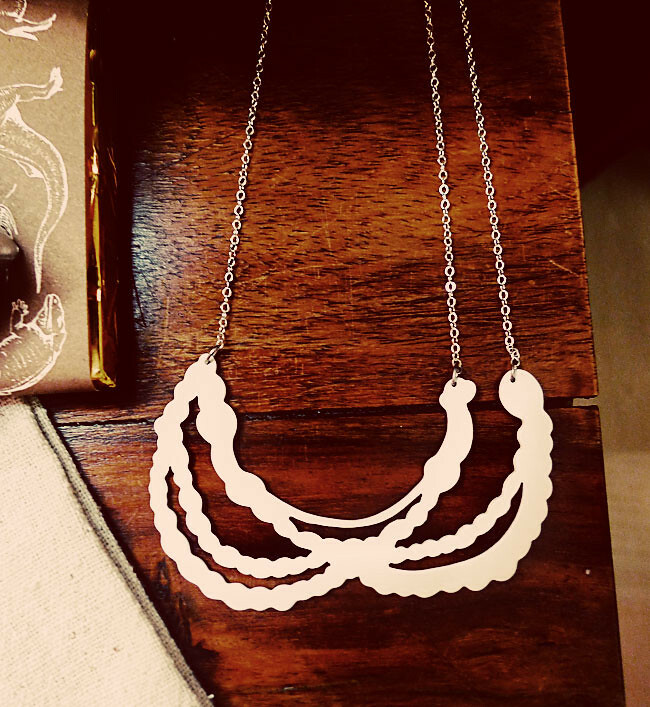 Not only is she sweet and delightful, she creates these gorgeous silhouette designs out of hand-cut brass. I'm pretty sure she should just give me everything she's ever made. These hand towels and apron were made by Going Home to Roost, and I just adore them. 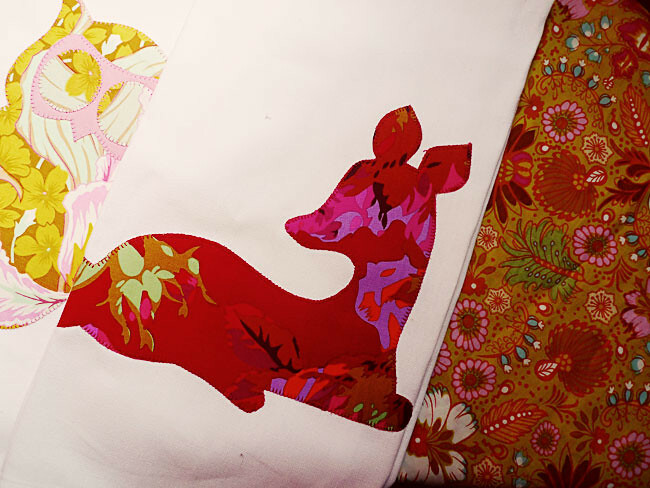 The owl towel and apron are a gift for a friend, but the fawn is all mine. One of the best parts of Indie Craft Parade was meeting all the artists, and Bonnie was one person I was really looking forward to seeing in person. She's my blog hero, and after reading her posts and emailing back and forth, I felt like I knew her, but it was so great to meet in person! My only regret is that we didn't have a whole afternoon to hang out and chat. So there you have it, my treasures. 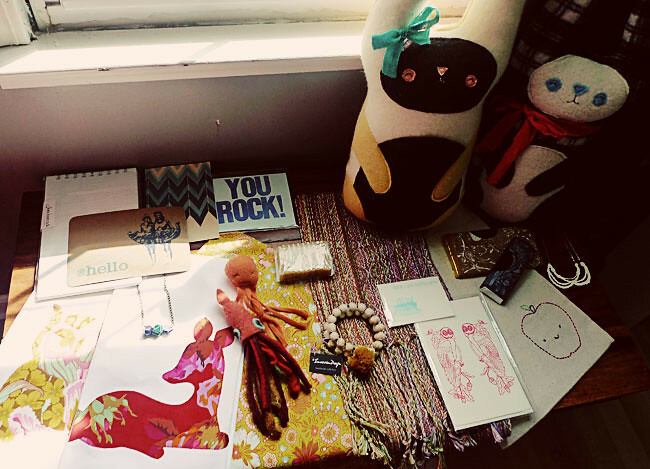 What did you get at Indie Craft Parade? I loved Indie Craft Parade! I bought some things from your booth...when will your Etsy shop be back up? There are several things I would like to get that I didn't get Saturday! I loved a lot of things at ICP and now I'm tracking down some of the crafters on Etsy and going to make a few more purchases. Your photos look great! And...I just read that O-CHA will now be selling Sweeteeth's chocolate!!!! No need to wait a whole year! Lib, are you serious??? When will they have it? I can't wait. Rachel, thanks! I'm almost completely sold out, so it's taking me longer to restock than I anticipated. I should have the shop open next week. Is there anything in particular you wanted? If so, email me at erin at 17dovestreet dot com, and I'll make sure I have it for you. woo, O-CHA saves the day!!! i'm so glad. i didn't buy any and was sorry all weekend. and i love love those bunnies. I need you to come photograph all our work - you make our stuff look GREAT! Thanks so much!